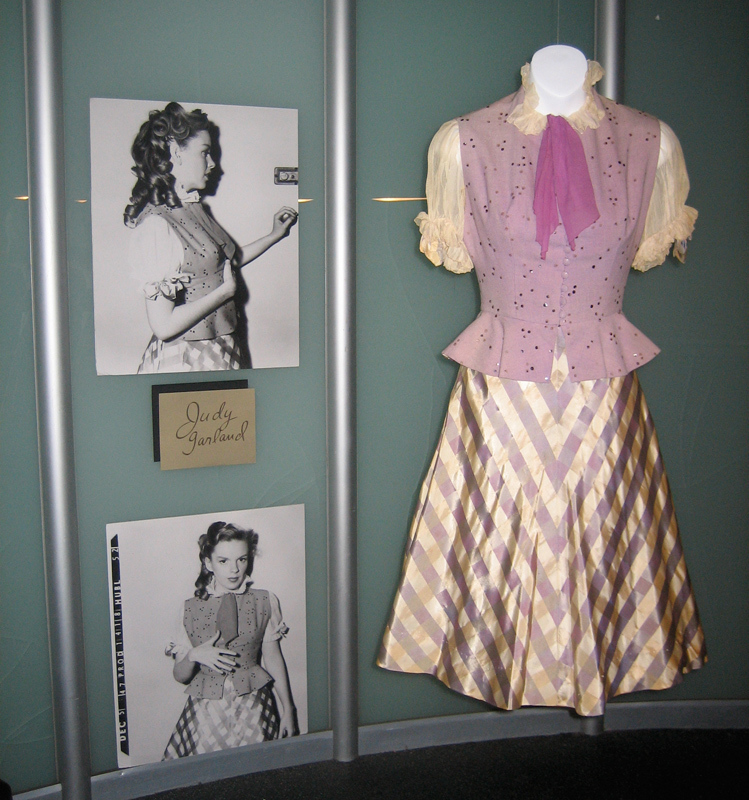 Aside from being known as one of Hollywood’s greatest all-around talents, Debbie Reynolds is also known for her amazing collection of Hollywood memorabilia. She famously bid on the first auction of one of the pairs of Ruby Slippers in 1970, and was able to obtain the famous pair of test, aka “Arabian,” slippers plus an early Dorothy dress. These items, along with many others, will be auctioned off on June 18, 2011 by Profiles in History (known for their popular SyFy Channel cable show “Hollywood Treasures”) at The Paley Center for Media, 465 North Beverly Drive, Beverly Hills, California. This auction is the first of several planned for Debbie’s collection. That’s great info, thanks! 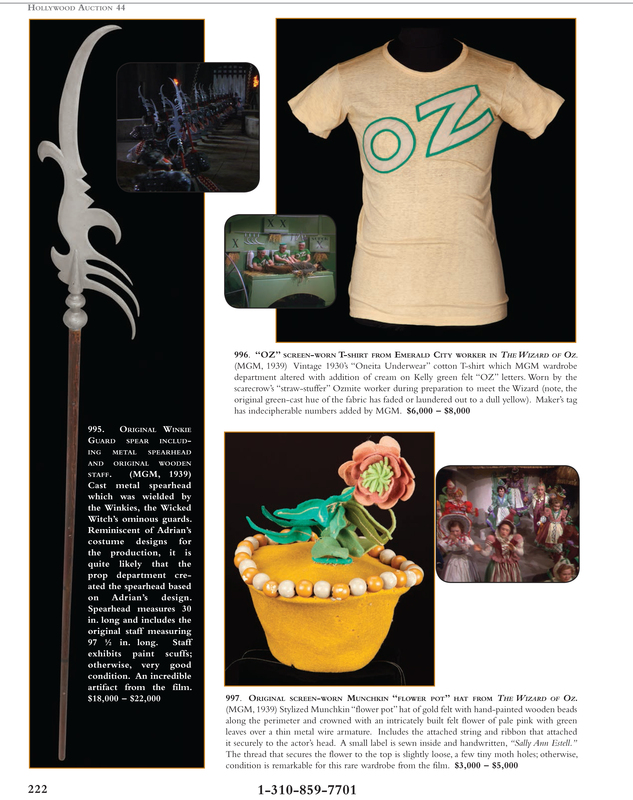 That “I Love A Piano” costume was (is) a part of Barry Barsamian’s extensive collection of Hollywood costumes, outfits, and other amazing pieces, including the “Thorpe Era” Dorothy dress. 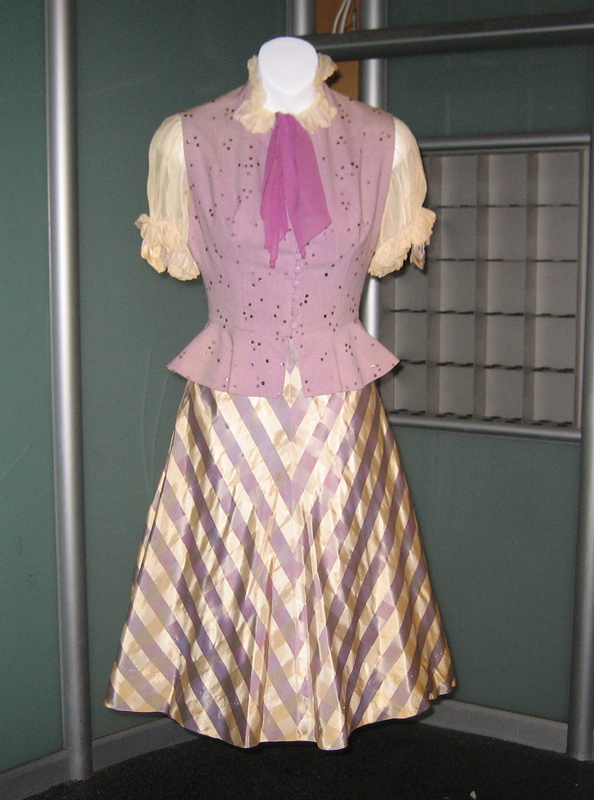 He had a few of Judy’s dresses, that she wore out and about, plus some shoes, jewelry, and other items, among a ton of other costumes and outfits worn by everyone from the silent era up to Madonna and Britney Spears. Amazing collection. It was on display here in SF last year, and he was nice enough to let me take a lot of great pics. Tippi Hendren donated the black publicity dress for “The Birds” (I think she wears it in the movie, too) and we also go to meet Jane Russell (he had some Jane and Marilyn costumes too) who donated a costume and also a gown that she designed. She was very sweet, but very tiny and frail. PS – I downloaded the catalog. I’ll post photos from it as well as the photos of the costume I took when Barry displayed it. RIP Jane Russell! that’s amazing that you got to meet the legend herself! btw, I know a certain blogger w/ the initials P.H. would go Gaga for those Madge items, lmfao….